I was rummaging through some old photos and came across these 2 items in a large envelope. 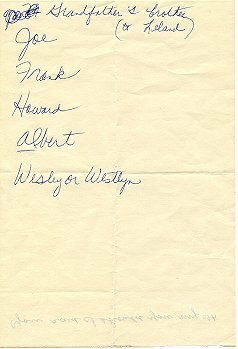 The 1st one below is a list that my grandmother Oneda made of who is standing on the porch. It's her handwriting. The house was new at the time of the photo. Late 1800's. The photo is of the 3rd process type after TinType. I've left the photo big so you may be able to make out the people. And it is as good as I could get it. The Farm was first homesteaded in or around 1847 or so by William Penix my Great, Great, Grandfather. And a log cabin was first built, then the farm house and new barn. 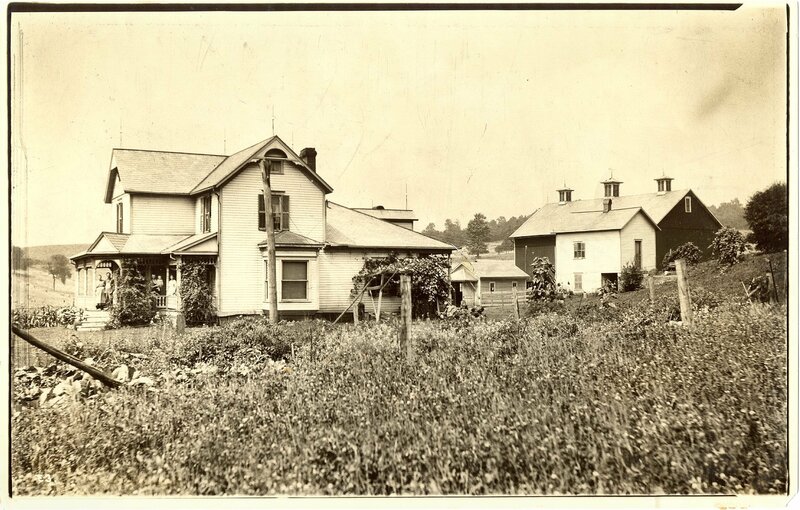 No photo of the location of the log cabin, but if you go to the 1906 photo and look at the orchard above and behind the house you'll see where the cabin was located where the orchard is. The apple tree in THIS photo is the first of several and just below where the log cabin was.